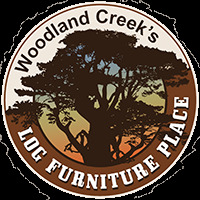 Treat your B&B, hunting lodge, or home sweet home to an extra gnarly bedroom set from Woodland Creek’s Log Furniture Place! Some of the gnarliest wood furniture pieces you'll ever see can be found right here in the Aspen Lodge Collection. No way! Waaaay! Stunning Aspen is carefully selected, peeled, and hand-crafted into heirloom quality pieces that will mesmerize. 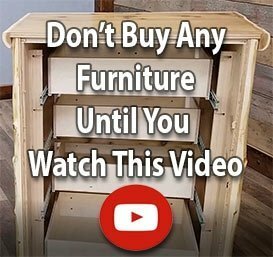 You and your guests alike will love the amazing variations of burls, beetle marks, and elk chewings that are characteristic of this amazing wood.